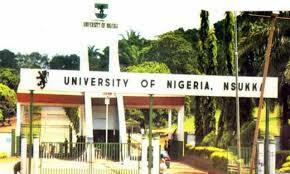 This is to inform all the students of the University of Nigeria, Nsukka (UNN), who may wish to add or drop course(s), that with effect from 2017/2018 academic year, such students are expected to pay the sum of N500.00 (Five hundred Naira) at designated banks for each add or drop card. Students are also to note that at the end of the registration exercise, a window period of two weeks will be opened to enable students wishing to add or drop courses to do so. At the expiration of the two weeks, no requests for add and drop of courses will be entertained by the administration. All Deans of Faculty and Heads of Department are kindly requested to bring this all important information to the attention of the students.